Get your netball teamwear, team, club, school, college and university shirts, strips and training kit from us at the best possible prices available. We have an enormous range of colours and styles available and can have your shirts, strips and training kit produced to your exact specifications including embroidery and screen printing/sublimation of logos and club crests. 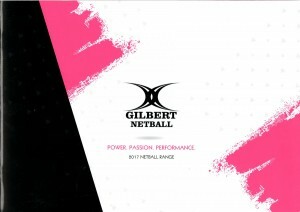 Take a look at a small selection of the wide range of products we have available for you to order, then CONTACT US for details of how you can get the best deal for your netball team. DOWNLOAD our brochures to give yourself an idea of the sheer quantity of choice available to you – then get in touch with our specialists to sort out the best pricing available.